A poinsettia is a beautiful shrub with a Mexican origin. It is adorned with attractive yellow and scarlet flowers that look divine. For this reason, poinsettias make perfect Christmas decorations. Poinsettias can live for many years, growing to 15 feet high although they are shrubs. In recent times, claims have been made that these widely adored trees may be harmful. But, is it true? This is what we explore in this discussion. Irritation of the Eyes – If the sap of the tree comes into contact with your eyes, it may cause irritation and redness but nothing serious. If this happens, flush your eyes with plenty of water and wait it out. If the symptoms are severe, then consult a doctor immediately. 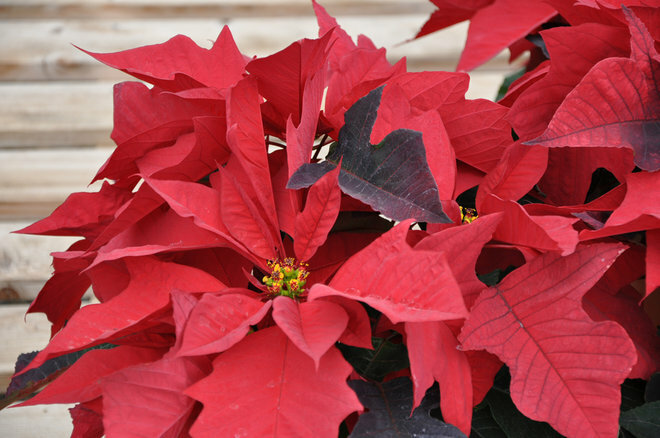 Rash – Exposure to poinsettias can cause a mild itchy rash. The discomfort can be remedied by quickly washing the affected area with soap and water. Applying a cool compress will help ease itching. Stomach Upset, Diarrhea and Vomiting – This can happen when someone chews on the part of the tree. It is unlikely that the symptoms will escalate. In case you find a child chewing on a piece of the plant, remove all the bits from the mouth and rinse it well. Allergic Reaction – If you experience allergic reactions to latex, avocados, chestnuts, bananas, passion fruits and kiwis, you are likely to be allergic to poinsettias. Results from extensive research show that a child weighing about 50 pounds would have to eat roughly 600 leaves of the poinsettia tree to react mildly. You can imagine the amount of effort and time it would take a baby to eat all those leaves! If your pet feasts on the leaves, there is no need to worry; a visit to the vet will sort things out. Depending on the amount of poinsettia that your pet has ingested (obviously not anywhere near 600 leaves), your vet will prescribe medication and fluids. Mostly, pets and children will not ingest many of the leaves due to their irritating sap and feel of the leaves. So, are poinsettias poisonous? The answer is no, or at least not that poisonous. At worst the bodily reactions to the tree will cause mild discomforts that will go away on their own. You don't have to eliminate this tree from your house. Just be careful to keep it out of reach of kids and pets, especially if they like chewing on everything. It can also pose a choking hazard, which is not welcome, especially over the holidays. 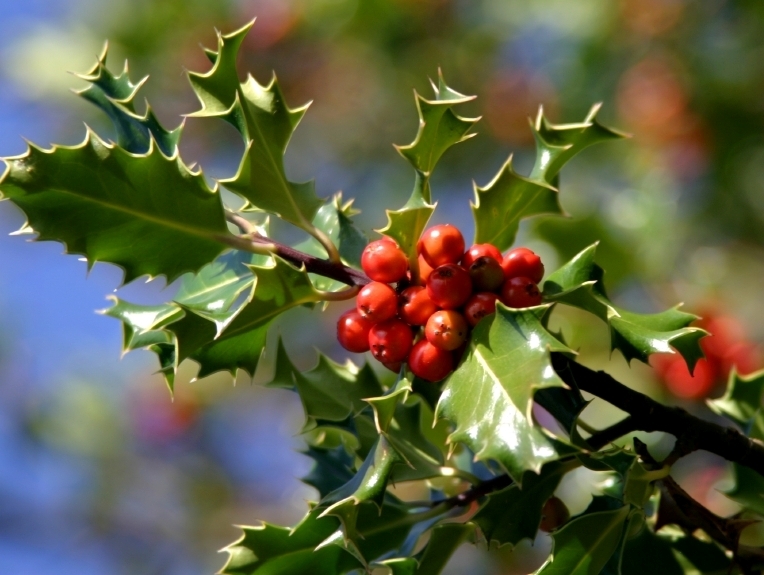 Beware of holly berries as they contain theobromine, an alkaloid present in caffeine and chocolate. They are poisonous to both children and pets. Although a child can have two berries without harm, 20 berries can be fatal. Even though the berries are what are eaten most, the bark, seeds, and leaves are toxic and should be avoided altogether. Holly berries are especially toxic to dogs because they contain more theobromine than chocolate. So if you are still wondering, "Are poinsettias poisonous?" be informed that Holly berries are far worse. All the different species of mistletoe plants are toxic to children and pets. The phoradendron species contain a toxin called phoratoxin which can result in blurred vision, running stomach, nausea and abdominal pain. The viscum species of mistletoe contains an alkaloid called tyramine which is poisonous and induces the same effects as phoratoxin. 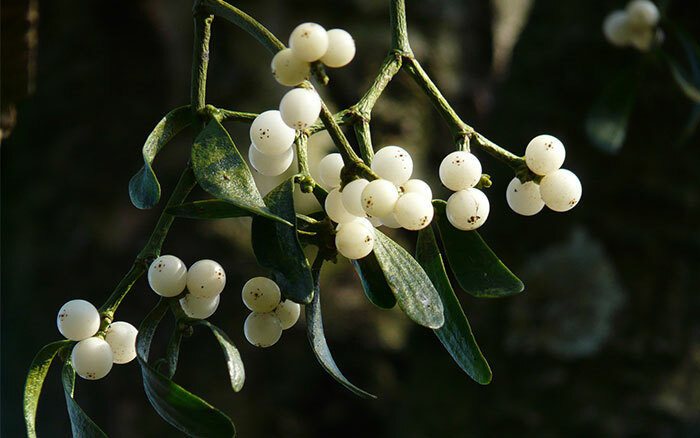 The mistletoe berries can be alluring because of their beauty, especially to children and pets. It is less poisonous to kids if one or two berries are ingested but are dangerous to pets even in the tiniest amounts. In case your child or pet eats them, seek medical attention immediately. 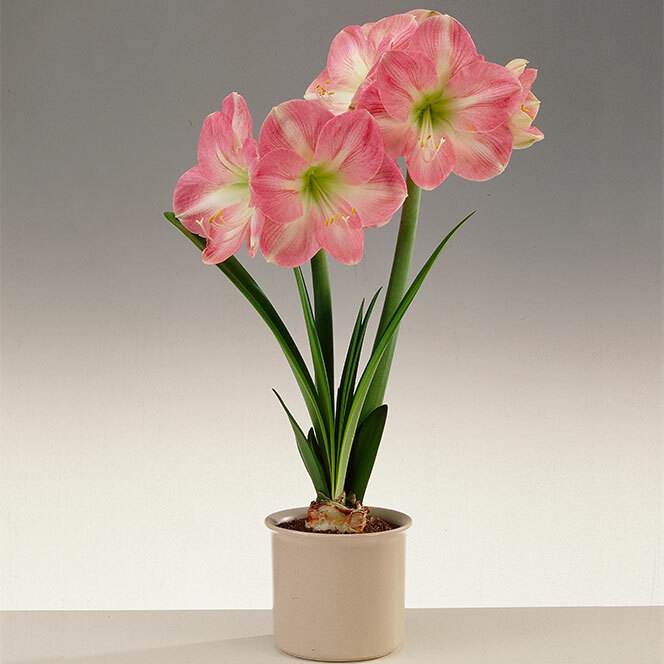 Amaryllis are popular holiday gifts because of their beauty. They are the easiest to bloom of all flowering bulbs and are therefore favored by most people. Ingesting the bulbs can cause an array of discomforts including convulsions, abdominal pain and cardiac arrhythmias. 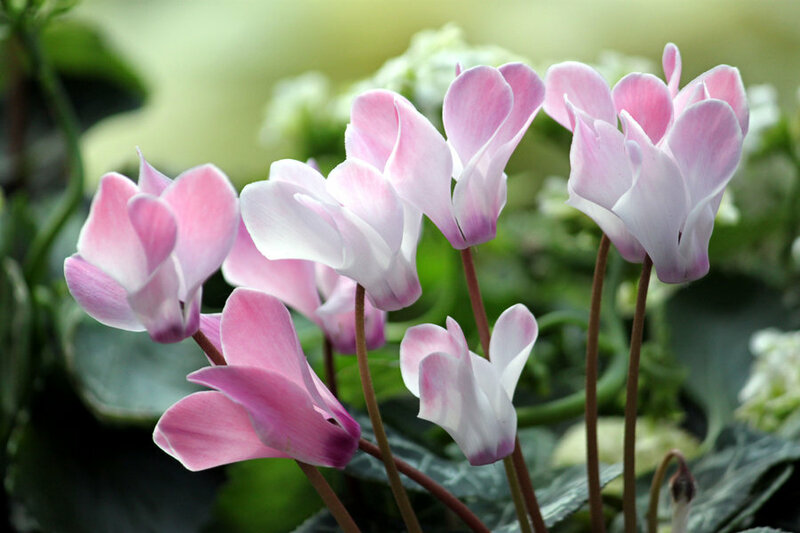 Cyclamen are most likely to be seen during winter and so are favored for the winter holidays. This flowering plant contains triterpenoid saponins which cause paralysis, convulsions, and vomiting. They are more dangerous to pets and pose a risk of death, but are a lot less harmful to humans. Are poinsettias poisonous? Well, maybe not enough to keep you from enjoying beauty they bring during the holiday season. 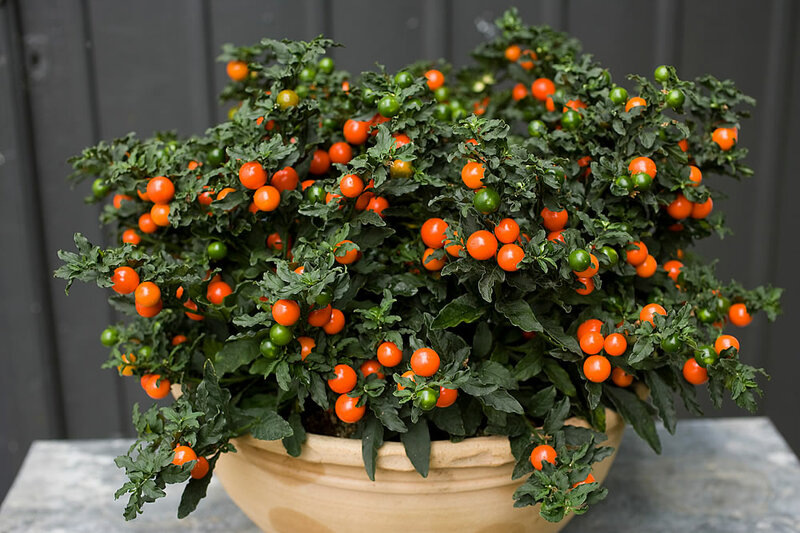 What about Jerusalem cherry? This is a nightshade whose fruits contain an alkaloid called solanocapsine which although a lot less harmful to people, can be fatal to cats, dogs, and some bird species. The Jerusalem cherry can cause stomach upset and vomiting in some people. Since the cherries resemble cherry tomatoes, they may be alluring to kids and pets who may eat enough of them to cause illness and sometimes death of pets. It is better to be safe than sorry. Whenever you are considering to bring these lovely plants into your home to create a holiday feel, it is better to place them in a location you know kids and pets cannot easily access. But in case you have a cat in the house, it is better to opt for imitation plants since cats can jump high. In case your pet manages to ingest any of these plants, consult your veterinarian or poison control real quick to get further direction on how to handle the situation.